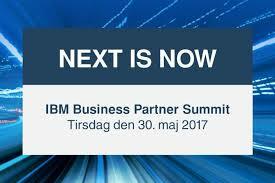 At this year’s Business Partner Summit on 30 May 2017, IBM wishes to acknowledge the partners that make a special effort to strengthen their business within strategic areas. They will do so by celebrating their partners at an Award event. IBM has nominated 3 partners in each business category and will select a winner among these three in each category. Access-IoT is proud of this nomination and is looking forward to continuing the cooperation with IBM, at their Munich HQ as well where we will play a part in a Smarter Cities project.